Vietnam photos, from two weeks in Vietnam. 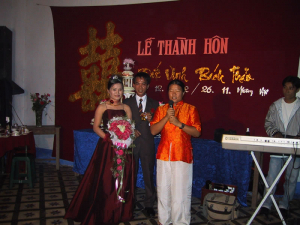 Ho Chi Minh City/Saigon, Hoi An, Hue, Hanoi, and Halong Bay. 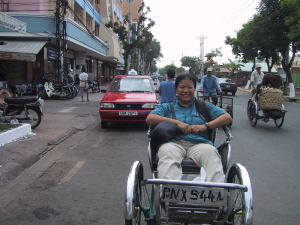 For more details of my adventures in Vietnam, read my Vietnam travel blog! 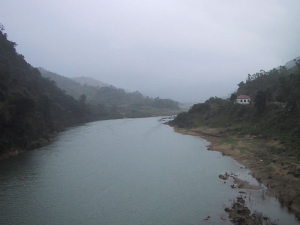 These photos were taken in various areas around Vietnam--the border. etc. These photos are from my trip through Hanoi. 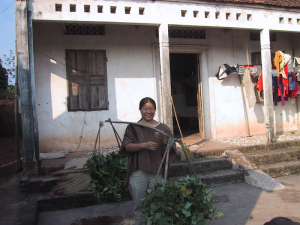 One of the hotel clerks in Hanoi invited me to tour his family's farm. So we got on a motorbike and off we went...70 kilometers up to his family's lychee farm, near the Chinese border. 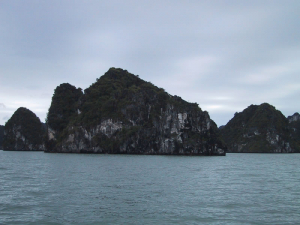 These photos are from my trip through Halong Bay. Hue used to be the capital city, but was largely demolished in the war. I didn't think much of Hue, and only stayed a few days, but I did tour the Demilitarized Zone (DMZ). There's almost nothing left there--the tour took on a degree of the surreal at times, as an "American army base" listed on the tour itinerary turned out to be a single rusty tank by the wayside. Scavengers have taken away almost all the metal.